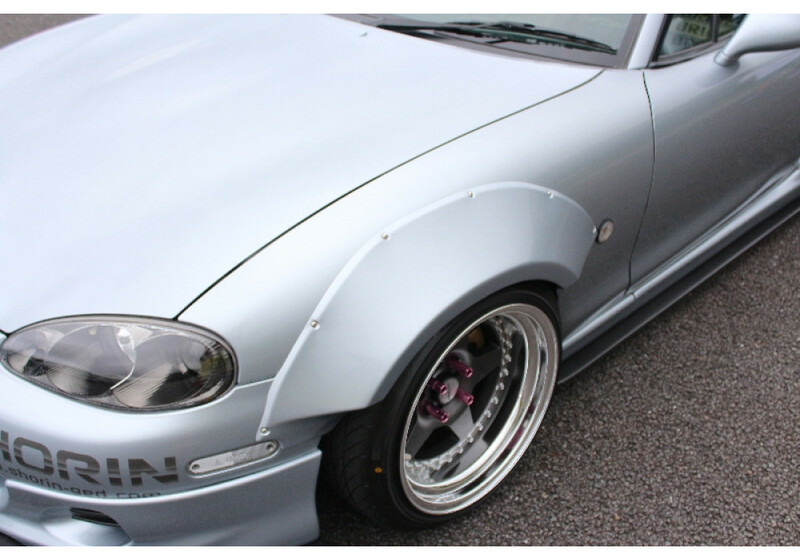 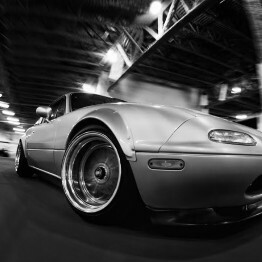 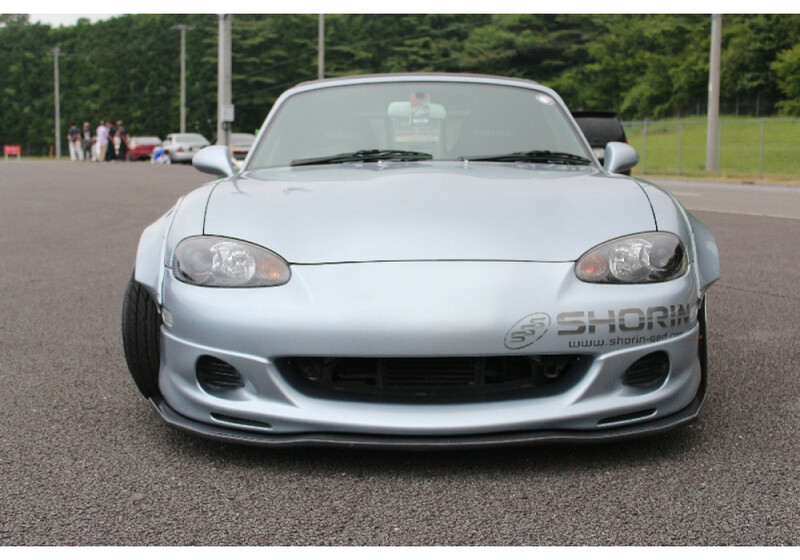 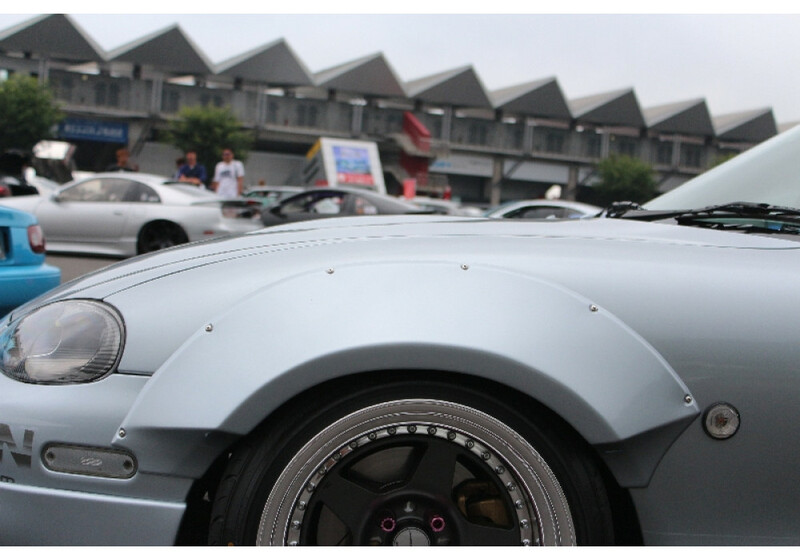 Wide front fender kit for the NB Miata by Shorin of Japan. 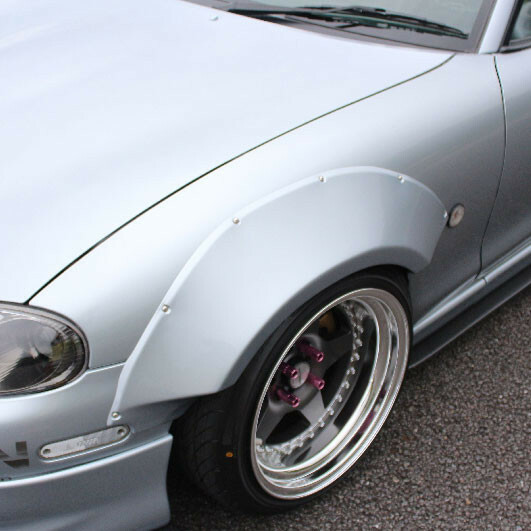 These wide body front fenders add an extra 60mm of clearance so you can install much wider wheels and tires. 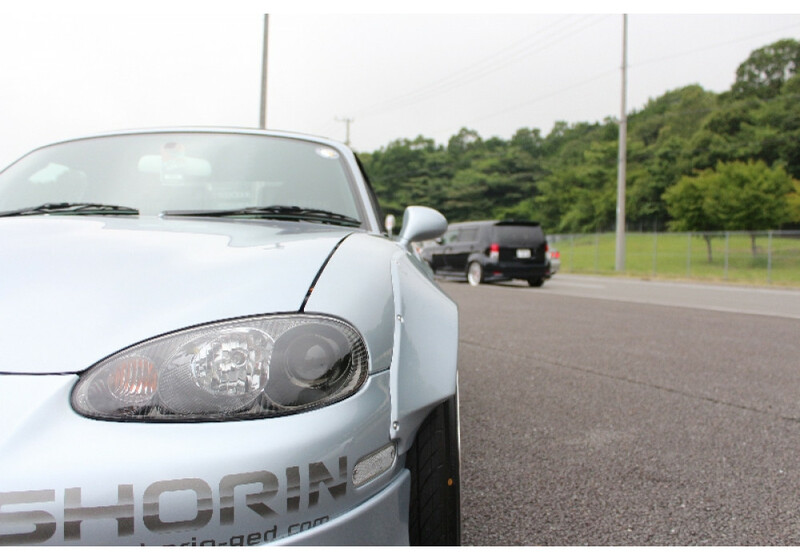 They also give the Miata a super aggressive look. 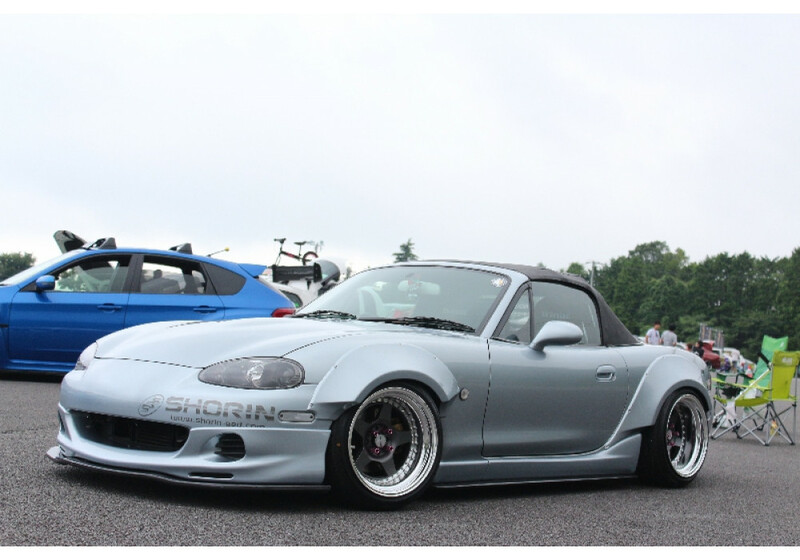 Shorin Front Fender Flares should be ordered at REV9 Autosport https://rev9autosport.com/shorin-front-fender-flares.html as they provide the best service and speed we've seen so far!